Flight 139 and the Raid on Entebbe Airport, the Most Audacious Hostage Rescue Mission in History. In May of 1974, a trio of Palestinian terrorists entered an elementary school in northern Israel and took hostage more than a hundred students before demanding the release of twenty-three Palestinian militants in exchange for the students’ lives. The Israeli government dithered before finally green lighting a military rescue effort, one which ended in nightmarish failure after a team from the country’s elite anti-terrorist force Sayeret Matkal (known as ‘the Unit’) found itself unable to kill the terrorists before they could turn their guns and grenades on the students. Twenty-two children died and sixty-eight more were wounded in what is now known as the Ma’alot Massacre, a heartbreaking tragedy that led the Israeli military to reconsider its approach to hostage situations. “In the wake of Ma’alot, the Unit rethought its tactics and training. New recruits ‘learned how to break into a room crowded with hostages, identify the terrorists, and [practiced] selective shooting to kill terrorists.’ They rehearsed assaulting ‘houses, apartments, buildings, ships, trains, planes, buses—any target the terrorists might capture.’ They were determined never to witness another Ma’a lot,” writes Saul David in “Operation Thunderbolt,” a comprehensive account of the 1976 hijacking of Air France flight 139 and the subsequent rescue of more than a hundred airline passengers and crew at Entebbe Airport in Uganda, which is now generally regarded as the boldest—and most successful—hostage rescue operation in history. 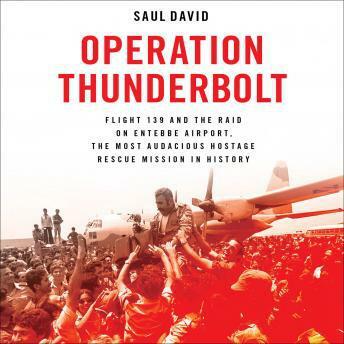 David’s “Operation Thunderbolt” is a vivid reminder that the Entebbe assault team (led by lieutenant-colonel Yoni Netanyahu) faced numerous daunting obstacles and a high risk of failure, yet managed to kill all seven terrorists and dozens of Ugandan soldiers before whisking the hostages out of the airport’s Old Terminal building—and then out of the country—after flying more than two-thousand miles from Israel to Uganda, evading detection all the while. Though success was bittersweet—as Netanyahu (the older brother of current Israeli Prime Minister Benjamin Netanyahu) was killed by a Ugandan sniper, and a handful of hostages were felled by gunfire during the firefight between the Unit and the terrorists—the casualties were few considering the scope, scale, and complexity of the operation. Notably, the Unit also managed to destroy at least 11 fighter jets on the ground at the airport—a crippling blow to the Ugandan air force and a big favor to neighboring Kenya, which gave permission, in advance, for the Israelis to refuel their planes in Nairobi before resuming the trip back to Israel. Of course, the destruction of so many MiG-17s and -21s only added to the military embarrassment experienced by Ugandan dictator Idi Amin, and perhaps contributed to his decision to murder hostage Dora Bloch, who several days earlier had been removed to New Mulago Hospital in Kampala to receive medical treatment, and was therefore apart from her fellow hostages when the rescuers arrived. David has done an admirable job of researching and telling the complete story of the ordeal, which began on June 27, 1976, when a group of Arab and German terrorists hijacked an Air France Airbus A300B4S en route from Tel Aviv to Paris by way of Athens, then diverted it to Benina International Airport near Benghazi, Libya, before continuing on to Entebbe. Though the general arc of the story is well-known (thanks, in part, to several popular documentaries and films), David’s research—which included classified documents from four countries and interviews with many key participants—has allowed him to reveal countless fascinating details, including how a rescued female hostage found herself sitting on a mini fragmentation grenade during the flight back to Israel. “Had its pin come loose, the explosion would have caused carnage … and might even have brought [one of the rescue planes] down,” notes David. 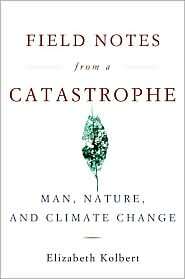 Don’t Know Much About Literature?—by Kenneth C. Davis and Jenny Davis. 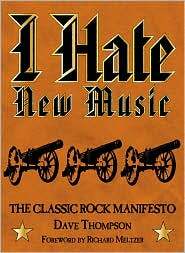 I Hate New Music—The Classic Rock Manifesto, Dave Thompson, Hal Leonard.